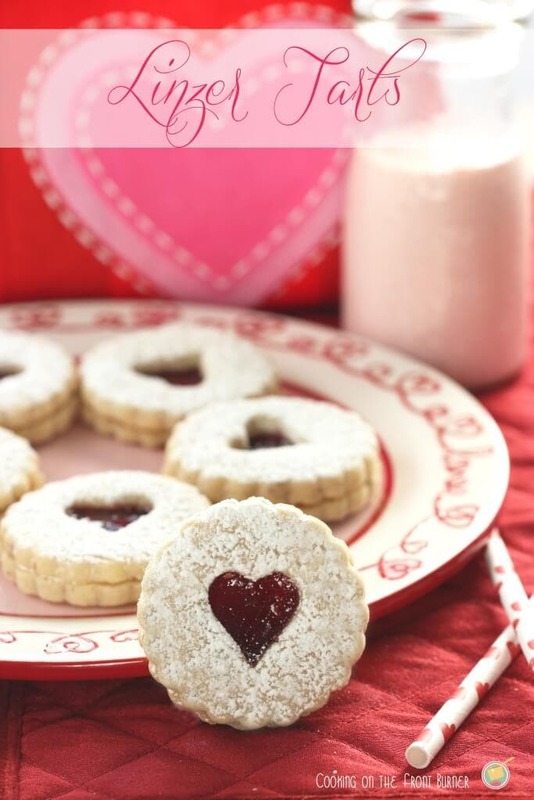 Hi, I’m Deb from Cooking on the Front Burner and today I’m sharing a special holiday treat for your Valentine! Love is in the air and soon it will be Valentine’s Day. 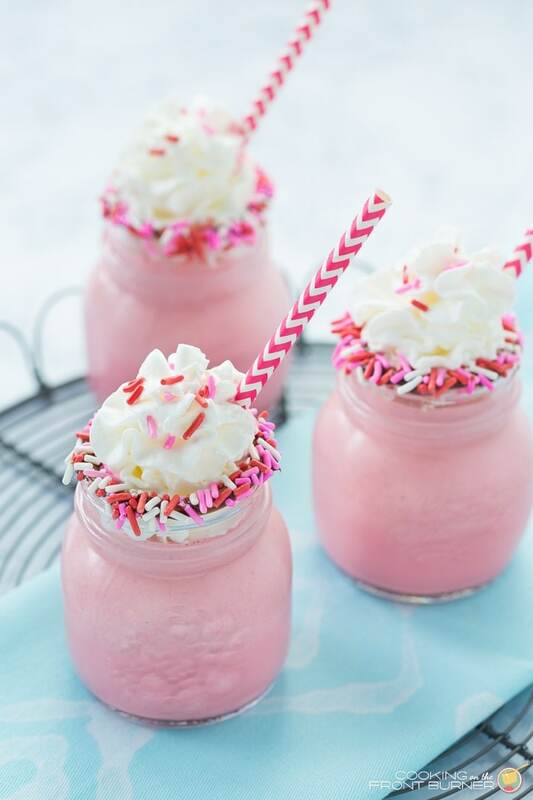 And if you love red velvet cake and milkshakes, then this Red Velvet Milkshake is calling your name! It’s the perfect sweet treat to share with that someone special. Whether you want to surprise the kids after school or serve it after your meal, it will be an awesome hit. Zing! Cupid’s arrow has struck! All it takes is about 5 minutes of your time and a few ingredients to whip up a batch, make it look pretty and put a smile on someone’s face. 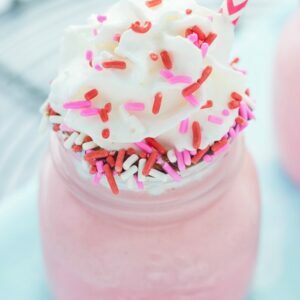 This milkshake is so creamy, dreamy and made even more festive with the holiday sprinkles (because everything is more fun with sprinkles, right?) The serving size can depend on what you like. I went with these 8 oz. canning jars, placed the rims in melted hot fudge, and then dipped them onto a plate of sprinkles. I think this could be a fun way to involve kids in the kitchen too if they want to help. And don’t forget the ice cream! 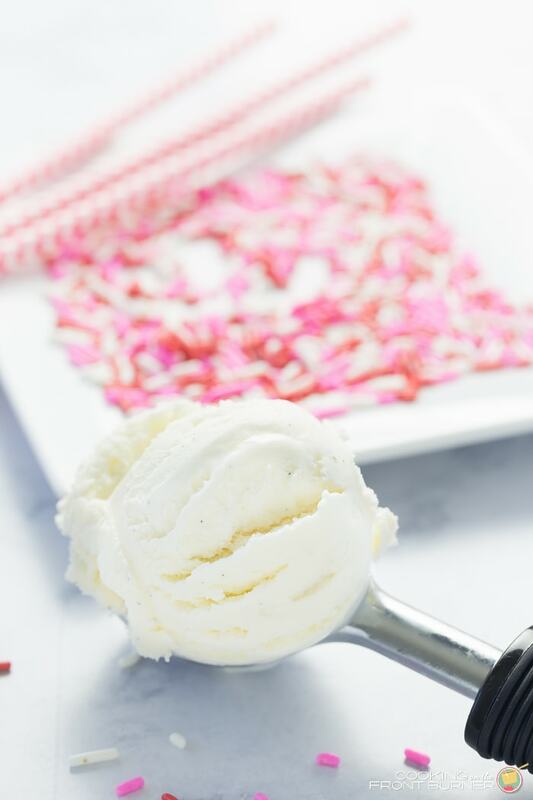 We love our vanilla with real vanilla bean. 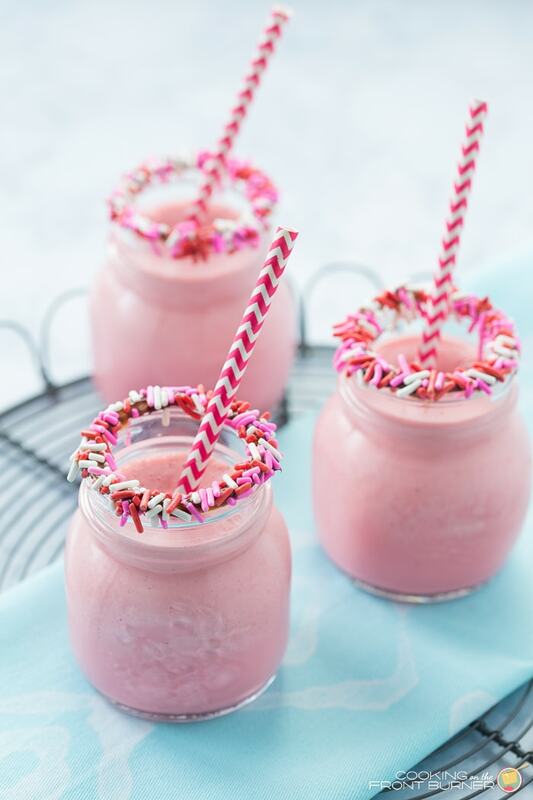 Red Velvet Milkshakes are a sure way to please that someone special on Valentine's Day or any day! 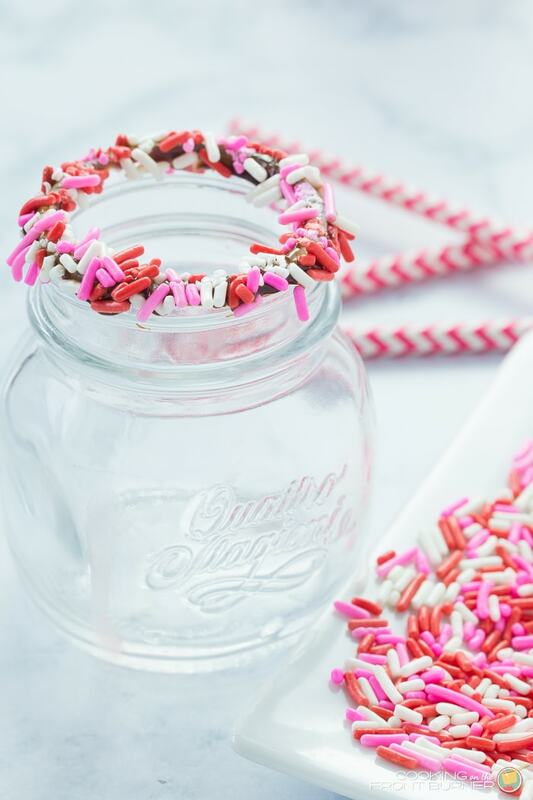 Place sprinkles on a plate then dip the rim of your glass into the warm hot fudge and dip into sprinkles. In a blender add the ice cream, cake mix, milk, and extract. 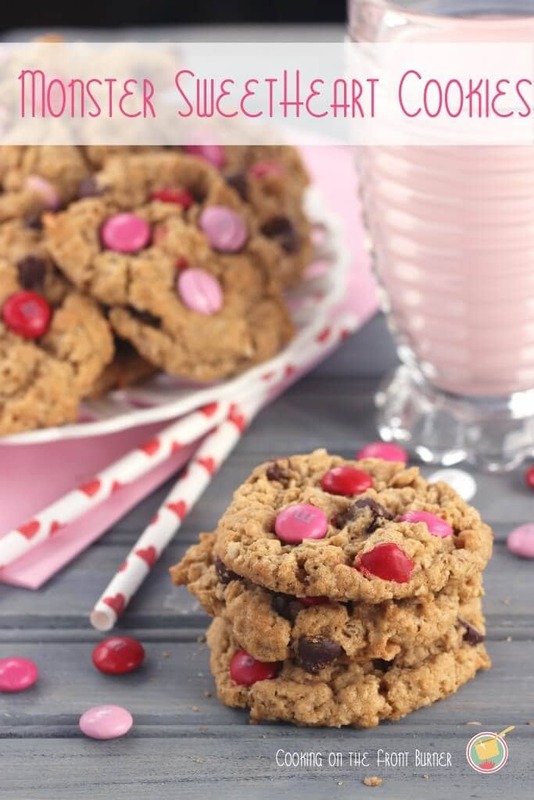 You might be needing some cookies to go with those shakes! This looks divine!! Two of my favorite things…! Milkshakes and red velvet! I’ll definitely be trying this recipe. Thanks for sharing it with us Deb! 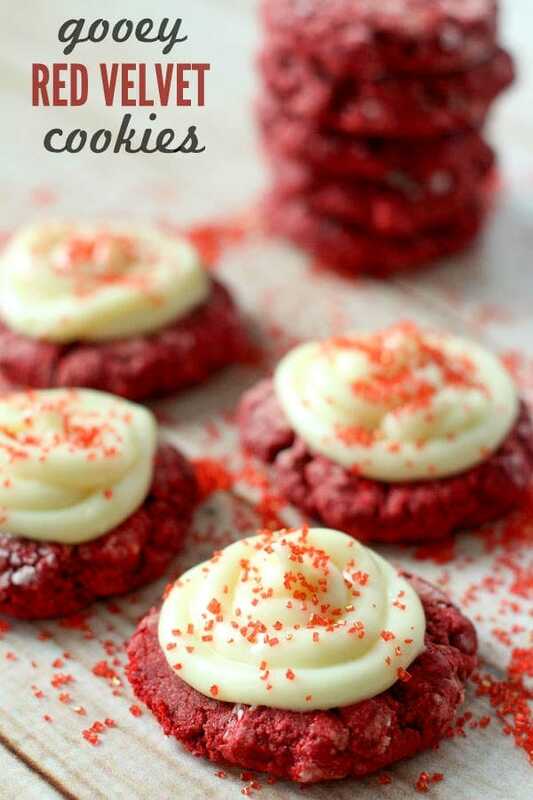 For more amazing recipes, go visit her over at Cooking on the Front Burner! For all things Valentine’s, go HERE. So adorable! 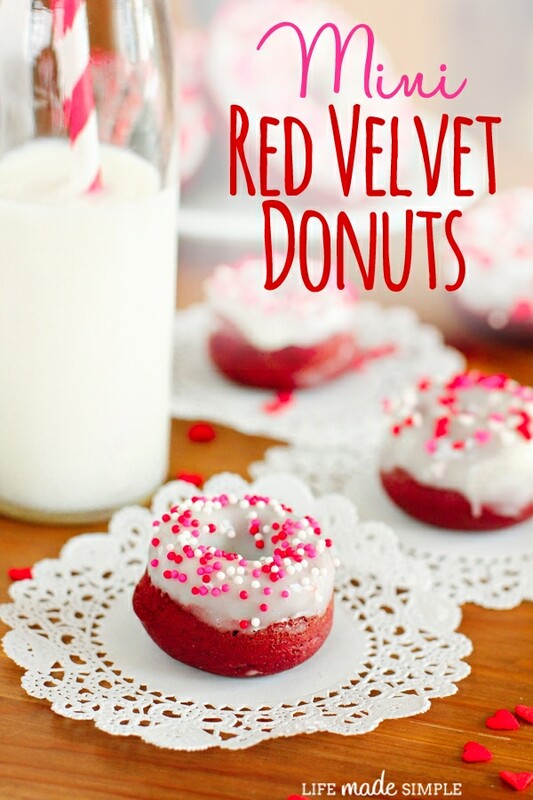 What a fun Valentine’s Day treat! So adorable! I love the added chocolate covered rim with sprinkles! 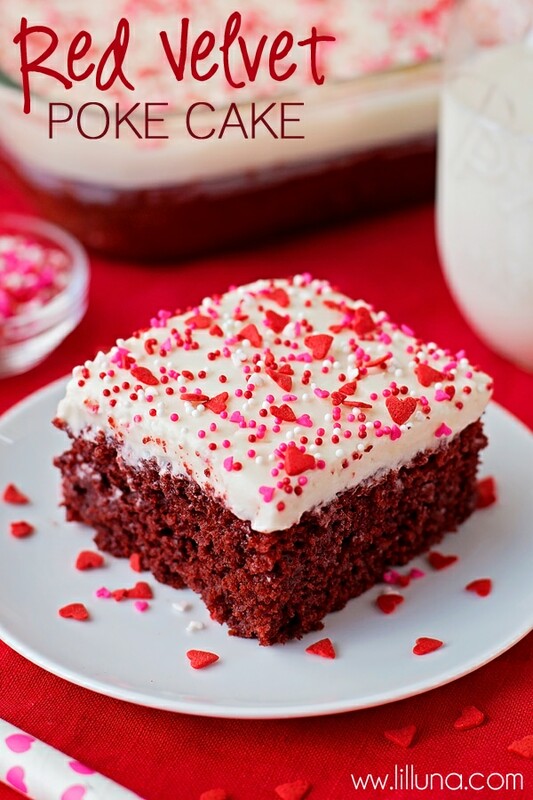 Oh my gosh…it doesn’t get any prettier for a V-Day dessert! 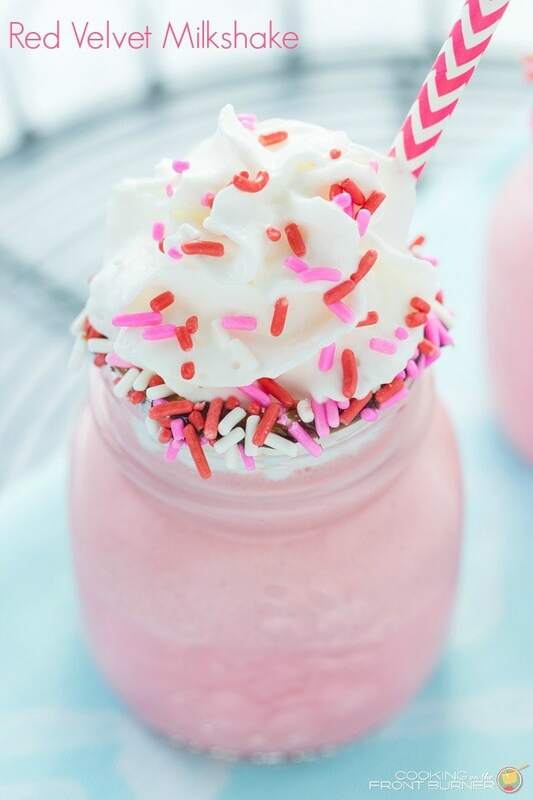 What a sweet treat for Valentine’s Day! Your pictures are just gorgeous!